After breakfast, we will drive along beside the Ionian Sea. 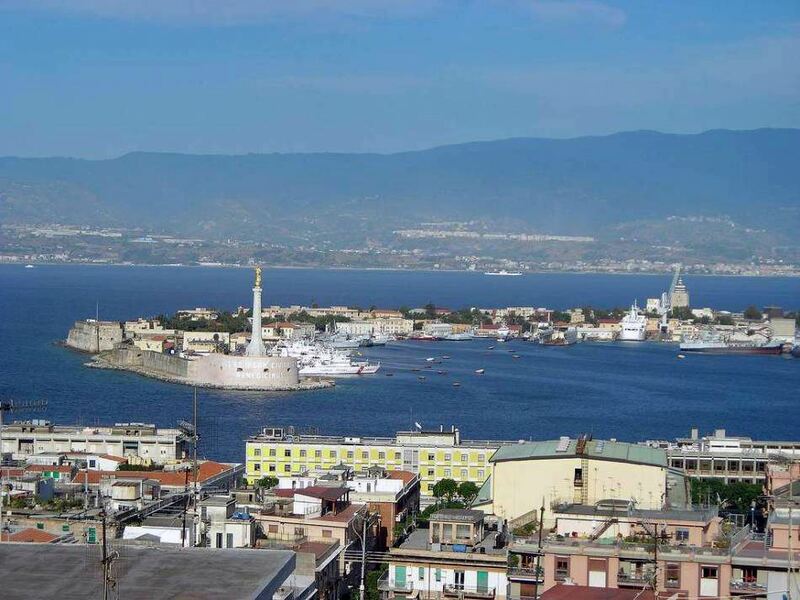 As soon as we arrive in Messina where at our suggestion you will visit the Cathedral of Messina and admire the beautiful Duomo Square with the largest astronomical and mechanical clock in the world, housed in the free-standing campanile (bell tower). 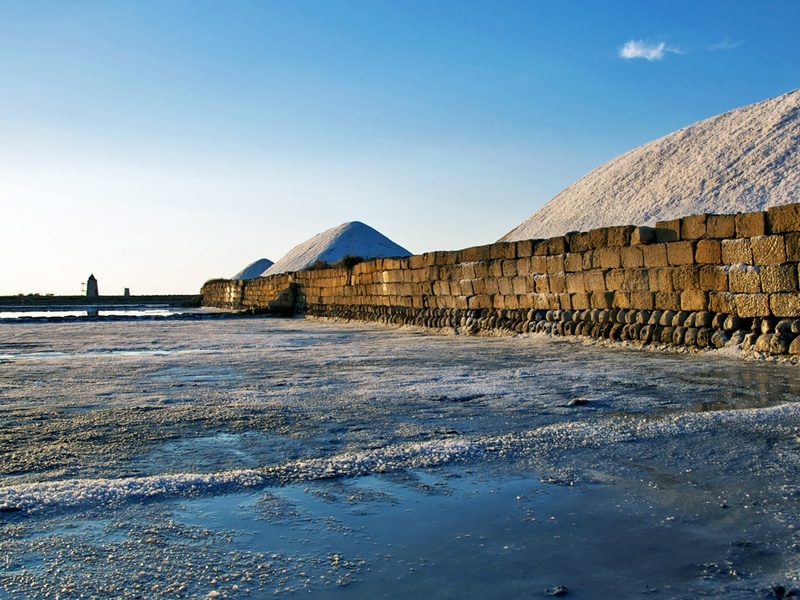 We will then drive you to Cefaluâ along the Tyrrhenian sea where you can admire the beautiful Aeolian Islands. 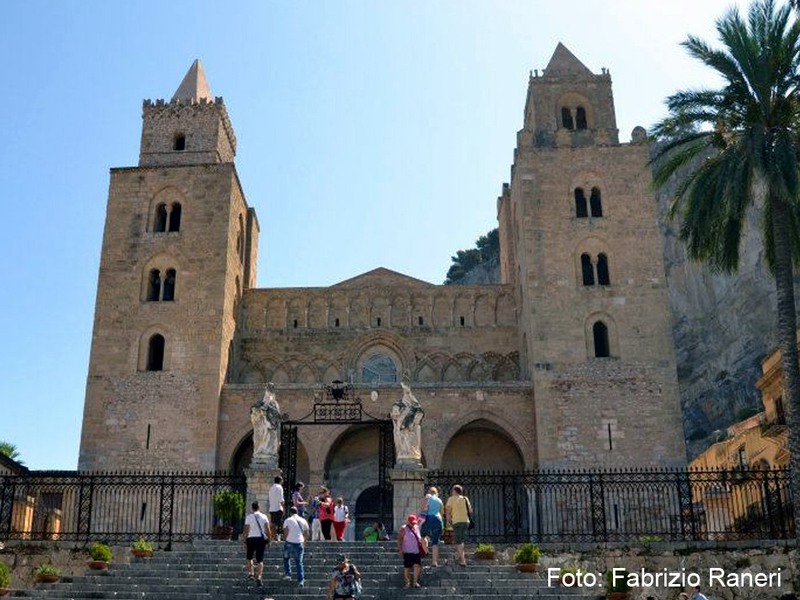 You will visit walking by yourself and at our suggestion the charming fishing town of Cefalù with its medieval pebble-stone streets and outstanding Arab-Norman Cathedral. The most important monument in the town, this was planned as the burial place of Roger II and his family. It shows a very interesting combination of different styles: Arabic, Byzantine, Romanesque and Baroque. 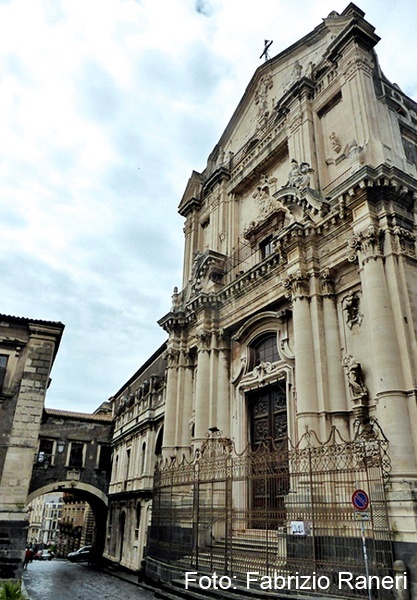 The façade is flanked by two massive bell-towers and preceeded by a 15th century portico. Lunch and dinner in your own time and overnight stay. After breakfast departure for Palermo, the capital of Sicily, where we will visit the Quattro Canti ("the four corners", a point of historic interest where the two main streets in Palermo meet), the Pretoria Fountain, better known as the "fountain of shame", and by yourself the Norman Cathedral and the Royal Palace which adorn the historic center of Palermo. Then we drive to Monreale, a medieval town known for its Arab-Norman cathedral built in the 12th century. An amazing sight, inside, is the complex of mosaics with a golden background, culminating in the great apse with the figure of Christ Pantocrator, dating from between the 12th and 13th century and depicting the cycle of the Old and New Testament, which is the most comprehensive cycle of the Byzantine tradition. Of great interest are the porphyry sarcophagi of William I and II, the 16th century Chapel of St. Benedict and the 17th century Chapel of the Crucified, through which you access the rich treasure of the Cathedral. Finally,there is the remarkable 13th century Benedictine Cloister, within which there is a courtyard that contains an elegant fountain in Oriental style. After breakfast, departure for the province of Trapani. After a scenic drive uphill and across the countryside, we will reach Segesta. You will visit the beautiful Greek temple from the 5th Century BC, perfectly preserved and in Doric style. 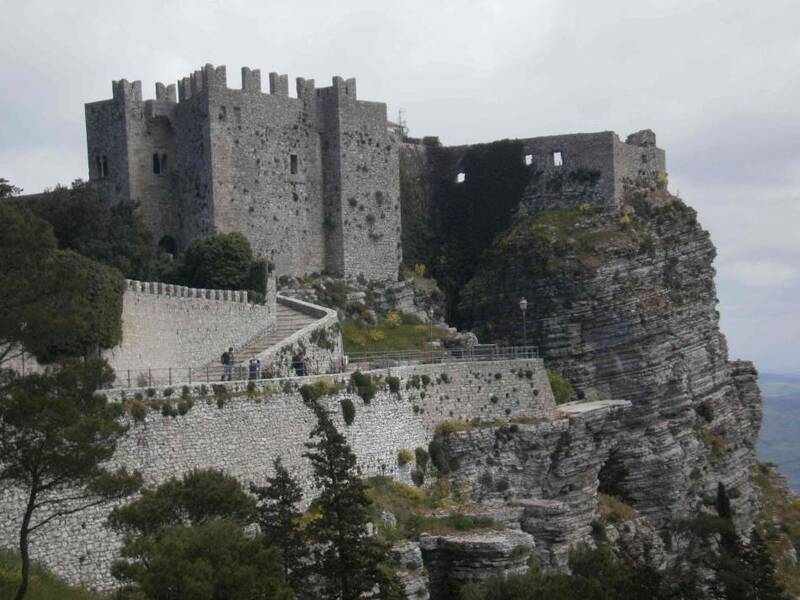 We will then drive you to the medieval town of Erice located at 751 m , perched on the mountain of the same name , built on a triangular plateau with a glorious view of the sea, for a walking by yourself in this town. 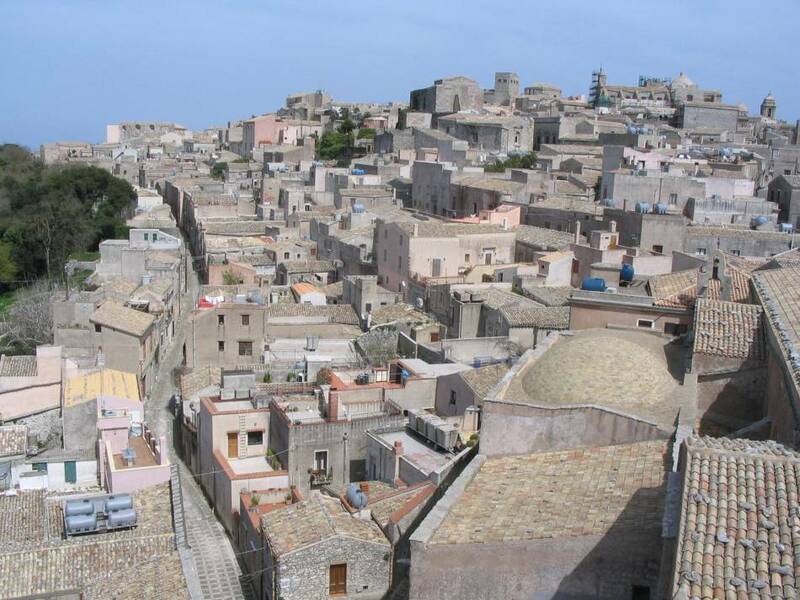 Enclosed within defensible bastions and walls, the town is a veritable labyrinth of little cobbled streets and alleyways wide enough to accommodate only one person at a time. Here we will take a beautiful walking tour and you can admire the 12th C Venus Castle , Chiesa Matrice - the main church, and you can also taste the famous marzipan. Break for lunch .After lunch we drive to Trapani on the Salt Way Road, where we tour the historic salt flat works, where the ancient tradition of harvesting salt from the sea is still practiced. We then return to Palermo.